Note for a moment how clear this teaching really is. It doesn’t say, “since there are many things to know, it is therefore unhelpful do delineate any universal principles true to everyone’s situation.” No, rather it lays out a very clear and concise summery of the basic ingredients of knowledge that are essential to Christian life. First, the greatness of my sin and misery. However unpopular talking about sin might be, the Reformed were clear on this point: nothing is more practical and indeed essential than that we understand the nature of man and his perilous predicament. Indeed, it is man’s nature as a sinner before the righteous judgment of a holy God this is particularly and perennially out of style. But how to we come to know our misery? By the Law of God. “Oh come on now,” someone might object. “It doesn’t actually mean ‘be perfect.’ Everybody knows we can’t be perfect. God wouldn’t be so unjust to require of people something impossible for them to perform.” But would God really be unjust? Is God actually merely saying, “Oh, you can try hard enough, and if you’re basically a good person all-around, I’ll let you into my kingdom”? In effect, does God just wink at our sin? Now we know that whatever the law says, it says to those who are under the law, so that every mouth may be silenced and the whole world held accountable to God. Therefore no one will be declared righteous in his sight by observing the law; rather, through the law we become conscious of sin (Rom. 3:19-20). But we’ll never come to this realization unless the law drives us there. Rather, we’ll ever end up stifling such contemplations and suppressing the truth in unrighteousness. Only the law of God in its pure, unadulterated intensity, can waken drunken sinners from their perilous stupor. Only the law of God can cut someone to the quick like is demonstrated by the tax collector who “would not even lift up his eyes to heaven, but beat his breast, saying, ‘God, be merciful to me, a sinner!’ (Luke 18:13). What a wretched man I am! Who will rescue me from this body of death? Thanks be to God, who delivers me through Jesus Christ our Lord! (v. 24-25). Second, how I am redeemed from all my sins and misery. that Christ died for our sins according to the Scriptures, that he was buried, that he was raised on the third day according to the Scriptures, and that he appeared to Peter, and then to the Twelve. After that, he appeared to more than five hundred of the brothers at the same time, most of whom are still living, though some have fallen asleep. Then he appeared to James, then to all the apostles, and last of all he appeared to me also, as to one abnormally born (1 Cor. 15:3-8). Notice the historic emphasis in all of this. Paul is not talking about a mere sentimental experience he had, but about what actually happened in space, time, and history. This stuff would have been on the evening news! And it was being announced all throughout “Jerusalem and in all Judea and Samaria, and to the end of the earth.” This was a message, with a particular content. And it was essential that it be heralded to all the world. This is why Paul could cite the scripture, “How beautiful are the feet of those who preach the good news!” (Rom. 10:15) and come to the conclusion, “Woe to me if I do not preach the gospel!” (1 Cor. 9:16). But what really is so good about this supposedly good news anyway? Isn’t the gospel kind of like a ‘new law’ in the end anyway? “How does this happen?” one might justly ask? The answer comes through the doctrine of justification by faith alone: By believing upon Jesus Christ, God not only forgives one’s sins, but also imputes the righteousness and holiness of Christ unto the sinful believer. This means that not only are our sins taken care of at the cross, but Christ’s perfect obedience to the law is also credited to us who believe. This means the gospel is not just a cosmic do-over where God presses the restart button and gives sinners a second chance: “Okay, I forgave your sins, try harder this time.” God isn’t just the God of second chances. Rather, God saves sinners, period! He’s the God who kills and makes alive. He’s the God who saves to the uttermost, those who were dead in their trespasses. There is a profound sense in which God, by sending Christ into the world, was not merely rewinding the tape to give men another opportunity to save themselves. He was not just putting man back in the garden with another try at resisting the forbidden fruit. Rather, he was putting Christ, the Son of God, in the garden. And this time, the second Adam would drive out the serpent, crushing its head, and earn the eternal inheritance for all his people . We must make no mistake, “salvation is of the Lord” and it is a gift. God is doing the saving — all of it. And he alone will get all the glory. So if this is true (which it is), how do we get all this benefit? How do receive all these blessings? This forgiveness of our sins? This righteousness imputed to us? Oh, friend! Now we enter into the most important question of all. And the answer is by faith alone! “[W]hat must I do to be saved?” asked the Phillippian jailor. And the Evangelists reply: “Believe in the Lord Jesus, and you will be saved, you and your household” (Acts 16:30-31). But now a righteousness from God, apart from law, has been made known, to which the Law and the Prophets testify. This righteousness from God comes through faith in Jesus Christ to all who believe. … God presented him as a sacrifice of atonement, through faith in his blood. He did this to demonstrate his justice, because in his forbearance he had left the sins committed beforehand unpunished— he did it to demonstrate his justice at the present time, so as to be just and the one who justifies those who have faith in Jesus (Rom. 3:21-26). So this is the doctrine of justification by faith alone and it is at the heart of the gospel. As the Reformed were fond of putting it, justification was the doctrine upon which the church stands or falls. According to Calvin it was the hinge (or axis) upon which the whole Christian religion turned. But we don’t understand the importance of justification apart from the law. In Romans 5, we read that “The law was brought in so that the trespass might increase. But where sin increased, grace increased all the more.” So the Law paves the way for the gospel. It brings men low so that they might first realize their need for the gospel and for Christ. That is why it so important that we never divorce the law and the gospel. In fact, the gospel makes no sense apart from the law. If people have a low view of the law, they will inevitably have a low view of the gospel. Invariably they will think themselves righteous and in no real need for the gospel. Such a person will not find Christ glorious, nor the cross very important. And for the righteousness of Christ imputed to the sinner? Who needs such a thing? What a stupid doctrine! They will say. Thus, it is only those who have been humbled by the law, who have tasted something of the weight of their sins, and felt the guilt of their just condemnation, who are then ready (indeed made able) to receive the gospel. To them, then, the gospel of grace is the most beautiful, wonderful thing in the whole world. And oh how they or overcome by the sheer mercy and goodness of God in Christ. Third, how I am to be thankful to God for such redemption. Having been justified now we get to serve God and follow his ways and walk in his righteousness — not because we have to but because we want to. The law no longer has any condemning power over us. And what’s more, we’re no longer under the power and dominion of sin either. Although we still struggle with indwelling vestiges of our old nature, our old heart of stone has been thrown out and a new heart of flesh put in. Thus it is impossible that we still want our old sin like we used to. In fact it is unavoidable: we will desire the things of God and want to honor Christ. For we have been regenerated, the old has passed away and the new has come (2 Cor. 5:17). But, how do we know what pleases God? Well we know it from the law of God, as mentioned before. But now, because of our justification, we can offer obedience without fear of punishment or reproach for sin-stained and imperfect works. And furthermore, we are motivated out of gratitude to God and a certain, sure, anticipation of the glory to come. In conclusion, this threefold division of the things necessary to know are then explicated in the remainder of the Catechism under the categories, Guilt, Grace, and Gratitude. For the Reformed, this threefold structure, provided not only a clear outline of basic doctrines but also a helpful theological instruction as to the order in which we come to them. There must be a clear logical flow from the Law (showing us our sin and misery) and the Gospel (showing us how we are redeemed from all our sine and misery and enabled and energized to respond thankful obedience). We don’t find one doctrine irrespective of the other. We can’t come to the gospel, without the law first driving us to our knees. And likewise, we don’t ever bow before the law without immediately looking to the gospel to find forgiveness and grace. Similarly, we never grow tired of the gospel or outgrow its relevance in our lives without finding again our need for the law to show us again how much deeper our sin still lies and how much more we still depend upon the gospel. And finally, we never rest in the gospel without at the same time being renewed in the inner man so that we delight in the Law of God and seek wholeheartedly to please Christ our Savior and Lord. At one time we too were foolish, disobedient, deceived and enslaved by all kinds of passions and pleasures. We lived in malice and envy, being hated and hating one another. But when the kindness and love of God our Savior appeared, 5 he saved us, not because of righteous things we had done, but because of his mercy. He saved us through the washing of rebirth and renewal by the Holy Spirit, whom he poured out on us generously through Jesus Christ our Savior, so that, having been justified by his grace, we might become heirs having the hope of eternal life. This is a trustworthy saying. And I want you to stress these things, so that those who have trusted in God may be careful to devote themselves to doing what is good. These things are excellent and profitable for everyone (Titus 3:3-8). What is your only comfort in life and in death? Thus opens the first question in the Heidelberg Catechism. And one must admit this is a pretty good question. But is it too ‘man centered’ to be thinking about our own comfort, let alone thinking about it first? Shouldn’t we rather be thinking first about God and his glory? Well, the authors to the Heidelberg Catechism (Zacharius Ursinus and Caspar Olevianus) didn’t think so. They understood that recognizing man’s abject and real need was not contrary to the glory of God, but rather tended toward it. God is glorified when we recognize our total dependance upon him for life and salvation. But let’s dwell on this question a little more? What really is man’s only comfort? In life, we might look to the various comfort we see around us: friends, family, jobs, cars, homes, sports, hobbies, etc. And these surly can be comforts. But what happens when these fail? What happens when our loved one dies, or our families let us down, or we loose our jobs. More importantly, what happens when our life ebbs away and we approach death itself? What is our only comfort then — in life and in death? Even thinking about death (something us Americans are so good at avoiding) can be unnerving. It’s so final So dark. So unknown. So scary. And, surely, death is all those things. And that’s why this question is so helpful. Inevitably we’ll have to face times when our worldly comforts pass away, and we’re left with the question: what is our comfort? The first part of the answer starts out: That I, with body and soul, both in life and in death, am not my own… Full stop! Wait a second! How can this be comforting? How can our not belonging to ourselves be comforting. Not to ourselves, but to somebody else!?!? Are you kidding me? These authors must have been in another world! How could that ever be more comfortable? Couldn’t they have come up with a better idea to start off with? Let’s think about it. In our day, ownership of other individuals isn’t exactly culturally preferred. In fact, there’s much controversy about people not being able to “own” their pets (dogs and cats and such) because it’s against animal rights. Yeah… Beneath all that, our culture still has some communal remembrance of the atrocities of slavery, which only further obscure the notion of ownership. And yet the Bible tells us that we are not our own — that we belong to another, even to Jesus Christ. And furthermore, it tells us that we are not only his servants, but even his slaves. How is that possible? More to the point, How is that comforting? Interestingly, this idea of ownership is the one taken up by the Heidelberg Catechism. I am not my own… but belong to my faithful savior Jesus Christ. See how this is comforting? We belong to the best, most powerful, most kind, most considerate, master in the world. And not only does he love us so much that he died for us, but he’s stronger than any other master in the world and can deliver and protect us from every enemy. So if the Son sets you free, you will be free indeed (Jn. 8:36). So we see how this is tremendously comforting. What can man do to me? What can the devil and all his demons to? They have to answer to Christ. And all dominion over heaven and earth has been given unto him. He is Lord over all the universe. And I am his servant, indeed his slave. What better place can there be? What safer place can their be? What greater comfort can there be in life and in death? And we see that the answer is, None at all. And [He] so preserves me that without the will of my Father in heaven not a hair can fall from my head; indeed that all things must work together for my salvation. Wherefore, by His Holy Spirit, he also assures me of eternal life, and makes me heartily reading and willing to live unto Him. It is not uncommon… to see on a church signboard a slogan something like this: “No book but the Bible; no creed but Christ; no law but love.” This captures the mindset of many in free church movements (p. 123). These statements sound pithy (and pious), but in the end, in fact, they are actually quite self-contradicting. As the authors note: “such a pithy slogans are themselves creedal confessions and are part of significant traditions that have been handed down and embraced by others” (p. 123). So, “No Creed but Christ” is itself a creed. All throughout history the church has always understood and taught the faith through creedal and confessional formula. Even in the epistles, Paul emphasizes doctrine and the traditions handed down by the apostles to be taught in local churches. So the Christian faith is a faith to be believed. There’s just no getting around it. And anybody who wants to be a Christian without wanting to believe anything actually doesn’t want to be a Christian. They want to have their cake and eat it to. Packer and Parrett describe how the church has historically related the various aspects of faith and life (belief and action). They point out a three-fold distinction they call the “Facets of the Faith.” Roughly categorized, these three facets of the faith corispond to the biblical distincitives of faith, hope, and love (p. 88). During the Reformation, this three-fold division was taken up in various catechisms. 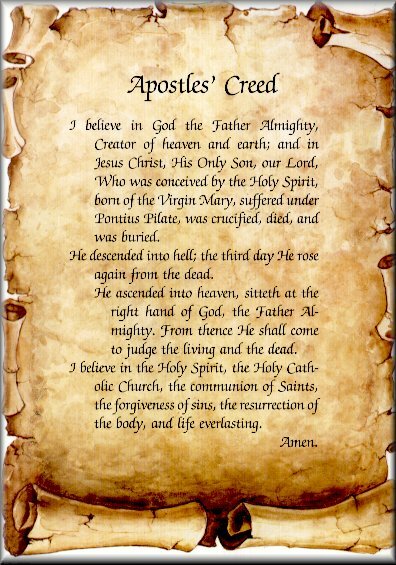 For example, the Heidleberg Catechism articulates the faith through expositing the Apostles Creed (faith), the Lord’s Prayer (hope) and the Ten Commandments (love). 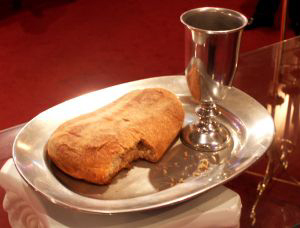 Other important sections of instruction historically for the church has been the sacraments (baptism and the Lord’s Supper)(p. 121). Other representations were found in the Latin expression, lex orandi, lex credeni, lex vivendi (as we pray, so we believe, so we do). Throughout church history, this threefold distinction has proved a common thread, structuring and defining the “facets of the faith” (p. 123-124). Not that this was a hard and fast distinction, but rather a helpful tool in ordering Christian instruction. Now, why should we want to learn from the past? Why would it be a good idea to at least have some understanding of how the Church has taught her disciples in centuries gone by? Or do we (along with the rest of the word) merely assume that the latest is greatest, new is improved, and we can get along quite well without history (“thank you very much!”)? After all, “history is bunk,” according to Henry Ford. This argument may seem the least compelling to many evangelical believers today. We are, after all, “Bible people,” always demanding in the end, “Where stands it written?” Such concern for biblical fidelity is absolutely essential and praiseworthy. But a flippant dismissal of our own Christian history is not praiseworthy in any respect. It is rather a willful refusal to adopt a biblical sprit. The fact is that we are not the first Christians to wonder about how to make disciples for Jesus. Wisdom and humility demand that we consider what our brothers and sister through the ages have done by way of catechizing and discipling, and test the merit of these efforts by consideration of biblical data. We are most unwise to try to continually reinvent the cetechetical wheel or to assume that we are more likely that our forebears to be faithful to Scripture. Our antipathy toward philosophies and practices that emerged throughout church history (particularly with regard to pre-Reformation history) also betrays either a willful ignorance or profound naivete about the proper role of the historic church in shaping who we are as Bible people today. Whether we are speaking of the canon of Scripture, what constitutes biblical orthodoxy, what a Judeo-Christain ethic looks like, or why we worship in the ways that we do, there is almost no aspect of what we prize as biblical Christianity that has not been deeply affected by the centuries of church history that have preceded us. Indeed it may well be argued that purposeful inattention to the history of the church makes us far more likely to become unbiblical in some significant way (122). That’s not a bad question. And yet I wonder how often it is that we may continue in our particular pattern of prayer without really having a strong understanding of this essential Christian practice. Why do we pray? What’s the purpose? What’s going on? What should we pray? How should we pray? Certainly there are many opinions and books on the topic. However, I’ve been continuing my reading through the Heidleberg Catechism and have come to the section on prayer which I think is particularly enlightening and helpful. When we find ourselves not sure what to pray (or even how), it’s comforting to be reminded that Christ, our Great High Priest, has already been asked this question while he was on earth, and has himself provided us with an explicit example. This is how far our Savior has condescended to anticipate our weakness and meet us in our very real need. Is faith something that is merely ‘passive’ in nature? Or does it have an ‘active’ principle as well? What is the nature of saving faith itself? Is it something passive, where we merely receive the benefits of Christ gifted to us and poured out for our sakes? Or is it something more active, where we obediently, or faithfully, bring something to the table or add something to the mix? Some might wonder whether this is even a valid distinction. “Why do you want to dig into this so bad?” one might ask. I hear you. But first let’s look at the issue a little more. I’ve recently read something by Mark Garcia where he gives a description of what he believes Calvin taught regarding the nature of faith. Here’s a quote from his book Life in Christ: Union with Christ and Twofold Grace in Calvin’s Theology. “Unlike his Lutheran counterparts, Calvin did not ground good works in imputation or justification but in union with Christ. In contradistinction with Melanchthon, for example, Calvin argued a positive, soteric value of good works as the ordinary prerequisite for receiving eternal life. It appears that basic differences exist in their respective understandings of justifying faith: at the heart of the inseparability in Calvin’s unio Christi-duplex gratia formulation is a justifying faith defined not only passively, as resting on Christ alone, but actively, as an obedient faith that, resting on Christ alone, perseveres in the pursuit of holiness” (p. 260). So, faith is (according to Garcia) defined not merely “passively,” but also “actively, as an obedient faith” (emphasis mine). And for Calvin’s short definition, he puts it very simply. There it is: “Merely passive”. Those are Calvin’s own words. For it was his view. One might think this sounds awful suspect, and like free-grace antinomianism. But it’s not. This is the heart of the Gospel and the Reformed faith; by grace alone, through faith alone, in Christ alone to the glory of God alone. And what’s more, we see this same theology reflected in the different Reformed confessions as well. Now. What do we see in these definitions? Do we see even an ounce of this ‘active’ principle or idea? No! In fact there is no concept whatsoever of obedience being intrinsic to faith whatsoever. And while we recognize that wherever there is true and vital (living) faith there will also be all other fruit of spiritual life as well (eg. repentance, obedience, good works etc), but faith by definition is something which receives. Faith apprehends. It in and of itself is the conduit by which the benefits of Christ are applied to the sinning soul. It’s like pouring water from a pitcher through a funnel into our hearts. That funnel is our faith. It doesn’t work. For there’d be nothing left for it to do. Indeed, work adds nothing to our justification. Only Christ’s perfect merit means anything for justification; and it can only be applied by/though faith. And therefor, necessarily, obedience is not in view. It is not the issue. So this begs the question how and why could we ever be entertaining such notions which go contrary to the reformed faith. There’s various reasons for this I’m sure. One is that we (rightly) don’t want to fall into a ‘cheap grace’ antinomianism. And that would be certainly bad, I agree. But the answer isn’t in changing the message of the gospel. Finally, let us look at a one more confession — this time from the Catechism of the Catholic Church. 144. To obey (from the Latin ob-audire, to “hear or listen to”) in faith is to submit freely to the word that has been heard, because its truth is guaranteed by God, who is Truth itself. Abraham is the model of such obedience offered us by Sacred Scripture. The Virgin Mary is its most perfect embodiment. This “obedience of faith” sounds an awful lot like the “obedient faith” described above by Garcia. Which leads me to my conclusion: Either (1) Calvin was a Catholic, or (2) Garcia is confusing things more than is necessary.